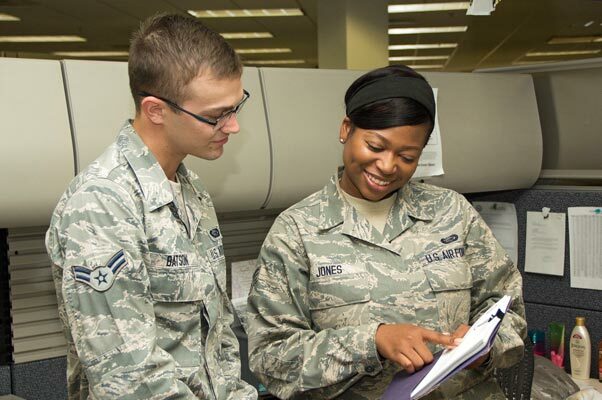 Job description and its impact on the overall mission: I ensure a smooth transition for all Air Force members and their families when they are permanently changing stations, separating from the Air Force, or retiring from the military. With a smooth transition, Airmen are able to focus on our mission of delivering and supporting agile war-winning capabilities. 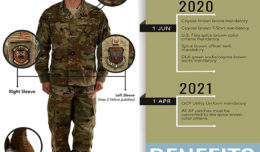 Time in the military: I have been in the Air Force for almost three years. 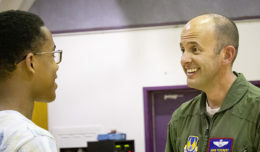 Time at Edwards AFB: I have been at Edwards Air Force Base for two years, four months. Family: I am a single child, but I have a big family filled with lots of aunts, uncles and cousins that I am very close to. Hobbies: My hobbies include going to sporting events, shopping, trying new food and travelling. I love random trips. Why did you join the military? : I joined during the end of my sophomore year of college. I wanted to be able to provide for myself and finish school and I knew the military would help me do both. Also, my family is very military heavy and I thought that it would be nice to follow the footsteps of my mother who retired after 24 years of service in the Army. Where do you see yourself in 10 or 20 years? : In 10 years I see myself working in the field of journalism as a fashion journalist publishing for a well-known magazine company such as Vogue, Cosmopolitan, or Elle. What do you do for fun here? For fun I hang out with friends, travel, shop, and explore as much of California as I can while I’m here. What’s your favorite Air Force memory or story? : My favorite memory would have to be the first time I promoted. It was a great feeling! I never thought that I would join the military so I am proud to have accomplished my first promotion. Who is your role model? : My role model is 100 percent my mother. I hope that I will grow to be as inspiring to my peers and my future children as she was to me. How does your job help support the test and evaluation mission here at Edwards? My job helps support the mission because we support the warfighters by ensuring their records are accurate. Inaccurate records could impact their careers. I also make sure they receive correct guidance when it comes to permanently changing stations or separating from the Air Force. What is your dream job and why? My dream job is to work as a fashion journalist for a well-known magazine company such as Vogue, Cosmopolitan, or Elle. I’ve always had a passion for being in the fashion industry. It has been my “first love” and I hope one day to be able to fulfill it. What do you like most about Edwards? What I like most about Edwards are the people I have met. I truly believe I have met a few people that I can see myself continue being friends with years down the road. If you won a million dollars, what is the first thing you would buy? I would pay off my college loan and take my mom on a well-deserved vacation. What distinguishes Senior Airman Jones from her peers? (Answer provided by her supervisor, Paul Vasquez) Senior Airman Jones has proven herself to be an outstanding Airman. She is a fast learner and very efficient in her job. I feel like she distinguishes herself from her peers because she is very proficient and I can trust her to get the job done when and how it needs to be done.